#236. 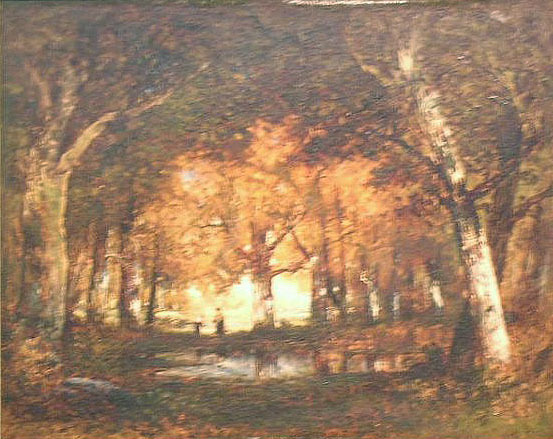 Forest of Fontainbleau. 14.5 x 18, oil on panel. "Gilbert Munger" lower left. On the reverse of the panel appear the numbers 1-2631 and 4399. 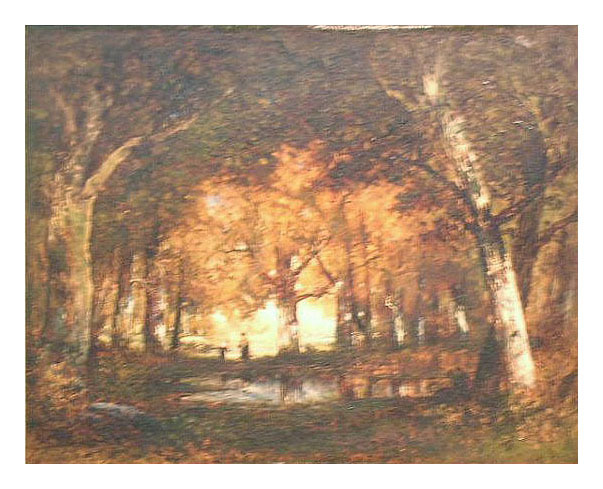 A label states: "The Watson Galleries, Montreal, no.35". Sold for $3,000 + 22% premium at the Doyle New York auction of 15 December 2004, lot 2058, to a Sharpsburg, MD, collector. Image from auction email.